So that’s what we did. WABCDEFG News. 11 minutes of nothing but fake news, fake callers, fake sound effects, and fake personalities. I think it’s a rip roarin good time. What about you? 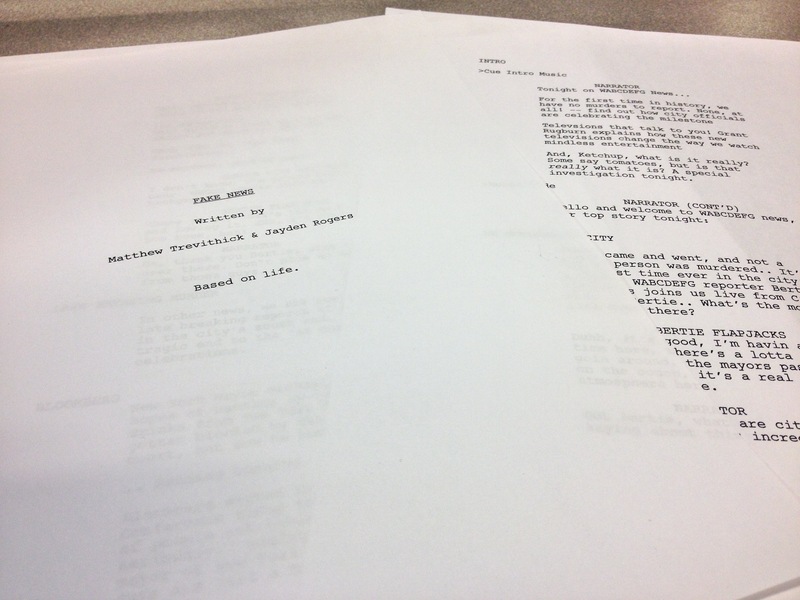 Paper version of the script we used. Isn’t it fascinating? Copyright © 2019 Matthew Trevithick | Theme by SiteOrigin.